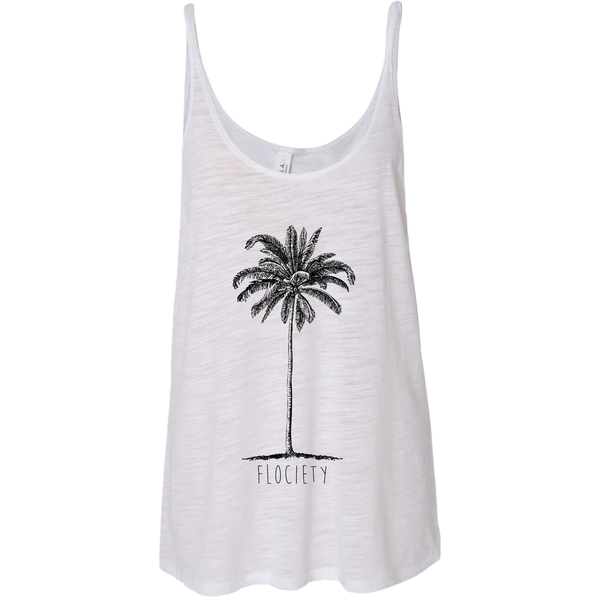 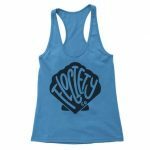 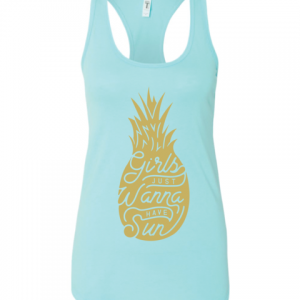 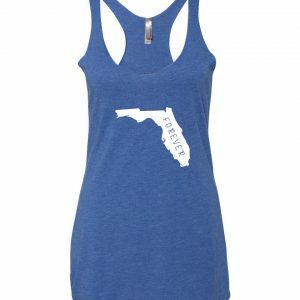 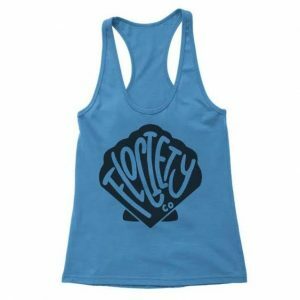 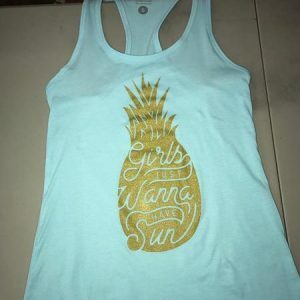 Ladies Palm tree design displayed on a lightweight racerback tank top. 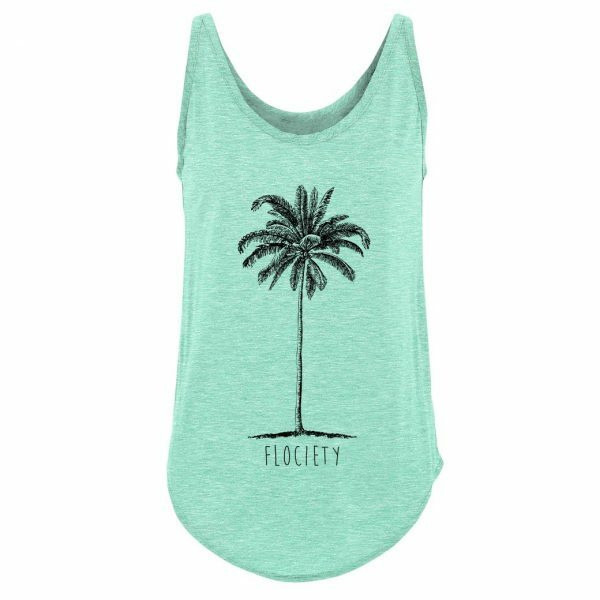 This style tank may run slightly big with a loose fit. 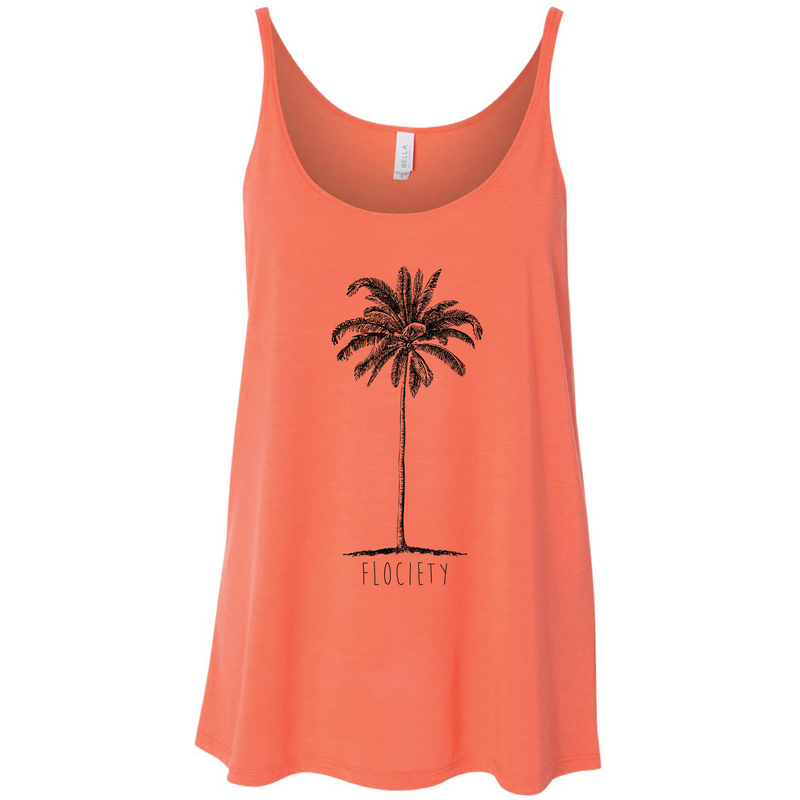 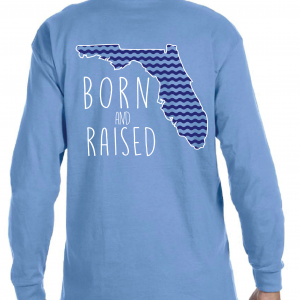 Available in white, mint and orange with black print. 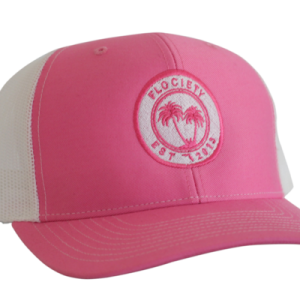 A perfect item for the spring and summer time! 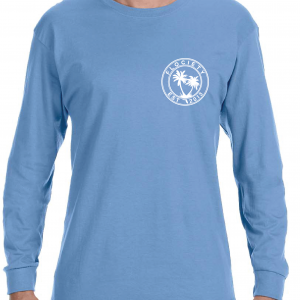 Material is 65/35 polyester/viscose.